Life on Irelands islands is very different to the mainland. No doubt you have already heard about the laid back pace of life here in Ireland, well wait till you reach the islands, it's practically stopped ! So, I hope you venture out to at least one. Life slows down to a standstill, allowing for a proper appreciation of the good things in life, nature and community. Born of a long tradition of fishing and farming, these once isolated communities were self sufficient and oblivious to life on the mainland. Most are Gaeltachts (Irish speaking) and all are pockets of culture and an unspoiled insight into the past. You will not get closer to nature then on the islands yet it is technology like broadband which is leading a revival and return to Irelands islands' that have suffered huge from emigration in the past. Irelands islands are accessible by passenger ferry or light aircraft, so often the car has to stay behind. Getting about is by ‘shanks mare’ eg walking or hiring bikes. You can forget about time as the only time you will need is the time of the ferry going back to the mainland. You will quickly adjust to the natural rhythms of nature, daylight and darkness hours. You can do a day trip, but do try and stay overnight as this is the closest you will get to ‘real’ Ireland. 1-3 The Aran Islands Inis Mor, Inis Meain, Inis Oir accessible by ferry from Doolin and Galway or by Aer Arann from Inverin airport. 4-5 Achill Island accessible by road via bridge and Omney Island across the sand at low tide. 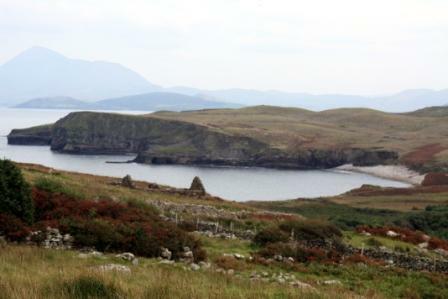 6 Clare Island accessible by ferry from Roonagh Point, Louisburgh in Mayo. 7 Inishbofin, (my favourite) by ferry from Cleggan outside Clifden. 8 The Blaskets , by ferry or eco tour trip from the small pier at Dun Chaoin. 9 Skelligs limited access due to preservation and conservation restrictions, dangerous too, ask locally. 10 Tory Island off the north coast of Donegal another magical island that is well worth the trouble of seeking out if you want to get close to nature and escape the stresses of modern life. 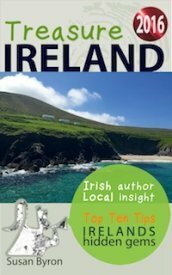 For more information on Irelands Islands please click here.